power of our most talented people. Located in Milton Keynes, the facility enables us to find very smart solutions for our customers, very quickly. A key part of saving our customers time and money is the Innovation Lab’s state-of-the-art facilities and equipment. Customers visiting the Innovation Lab will work with packaging experts from Macfarlane and our partners in this uniquely creative environment to fully understand the cost of their packaging process. They can then help to develop solutions that address the Significant Six hidden costs in all packaging operations. The Innovation Lab gives customers direct involvement in tailoring packaging to their particular needs. 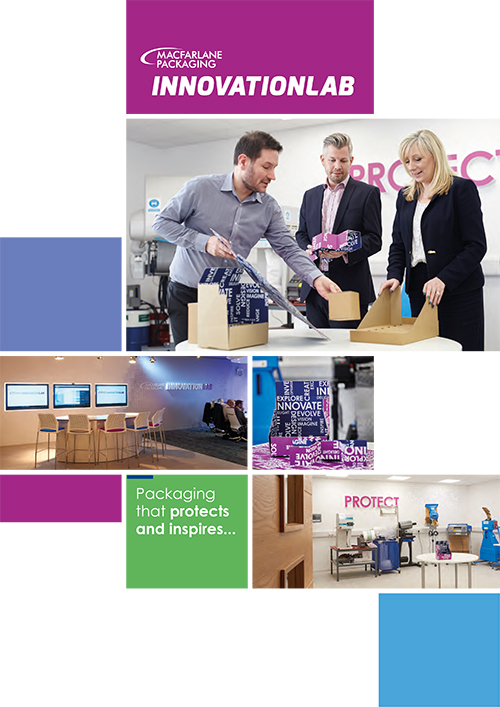 This significantly speeds up the process of creating a bespoke packaging solution – ranging from a printed sample to a fully modelled new packaging process. You’ve seen how we can help with storage costs. What other Significant Six costs are hiding in your packaging operation? I’m confident that this facility could make a big difference to online retailers such as FEELUNIQUE, for whom the customer experience is vitally important. The online retail environment moves at a terrific pace, so being able to bring our most demanding packaging challenges to Macfarlane and leave with a solution that meets our needs on the same day is a major step forward.